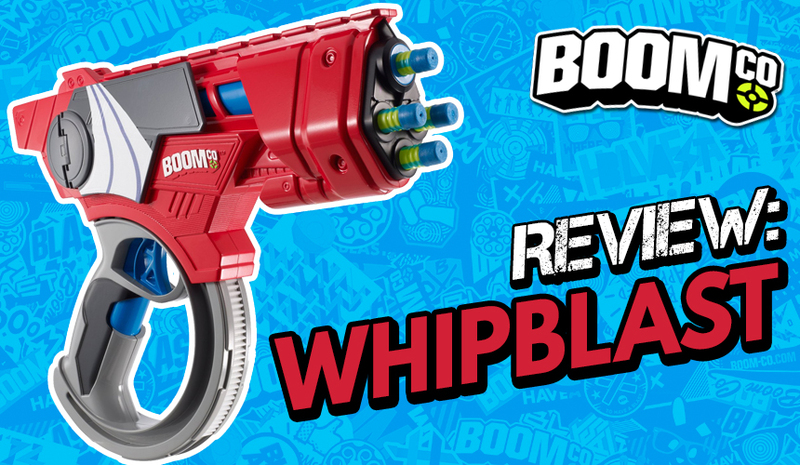 Although first released back in 2014, and reviewed extensively elsewhere (including by other folks right here at Blaster Hub), the BOOMco Whipblast is nonetheless worth a second look. 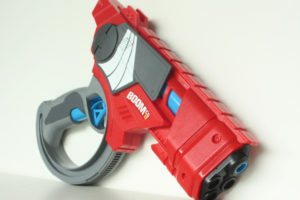 After all, it offers functionality you won’t find anywhere else, and it’s exactly what you’d expect from any BOOMco blaster: it’s wacky, unique and most importantly, fun to fire. 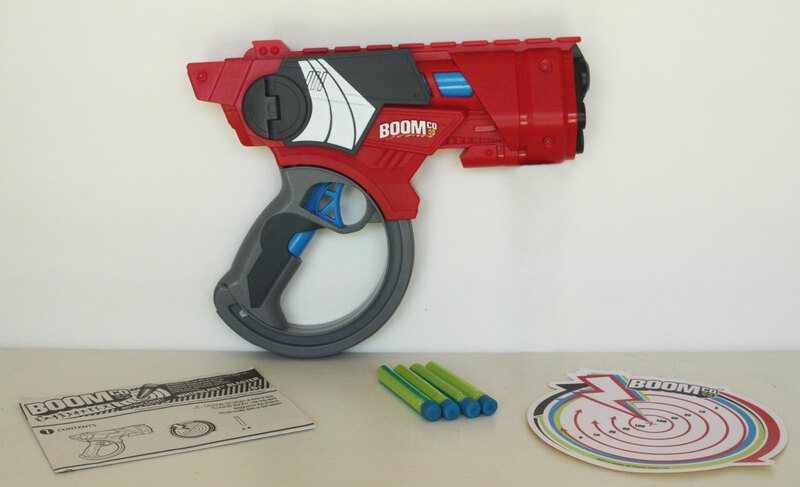 Included with the Whipblast are four BOOMco darts, a BOOMco target sticker (15cm in diameter) and an instruction sheet. 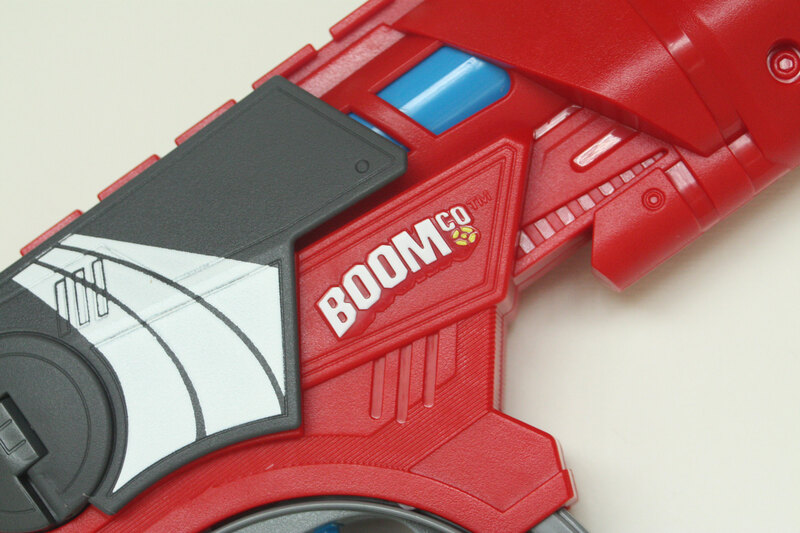 The Whipblast continues to keep the traditional BOOMco colours of red, blue and grey. Like most BOOMco blasters, there are two rotating, fold-out smart stick shields attached to the Whipblast. The shields act more as an aesthetic feature rather than being an actual shield, since they are far too small to be of any practical use. 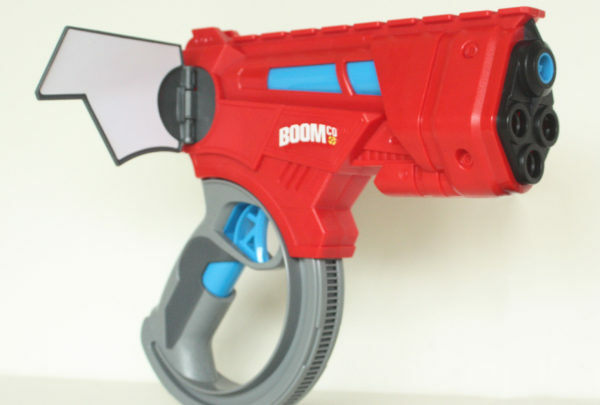 It also features a rail for BOOMco attachments. Beneath the main barrel are three dart holders. 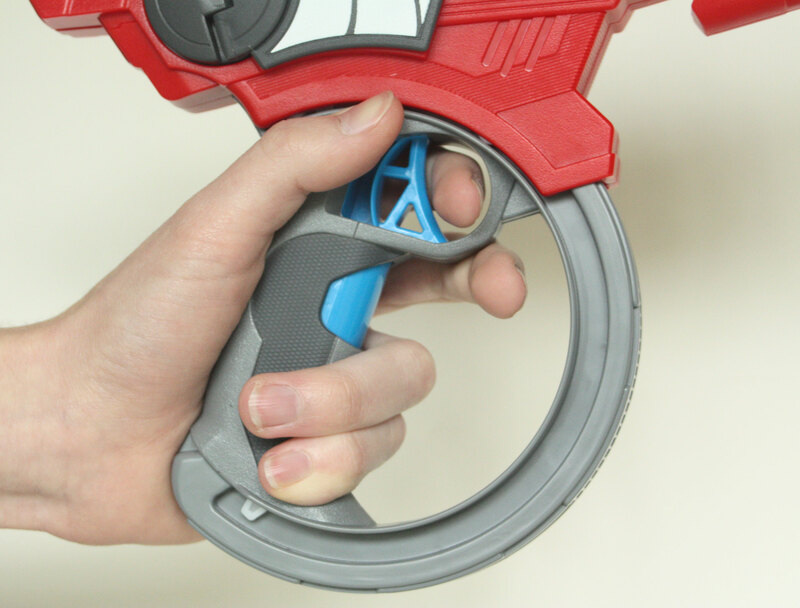 Holding the Whipblast can be cumbersome, as you have to ensure that your middle finger is not pressing the second trigger or else the main blaster unit will tilt downwards. I usually have my middle finger resting in an awkward position (picture below). Note: Larger hands may find the handle too small. To prime, hold down the second trigger, which will pivot the main unit of the blaster downwards. Continue to hold the second trigger and push the blaster downwards until you hear a click. Once it has clicked, push the blaster up to its original position and it is ready to fire. 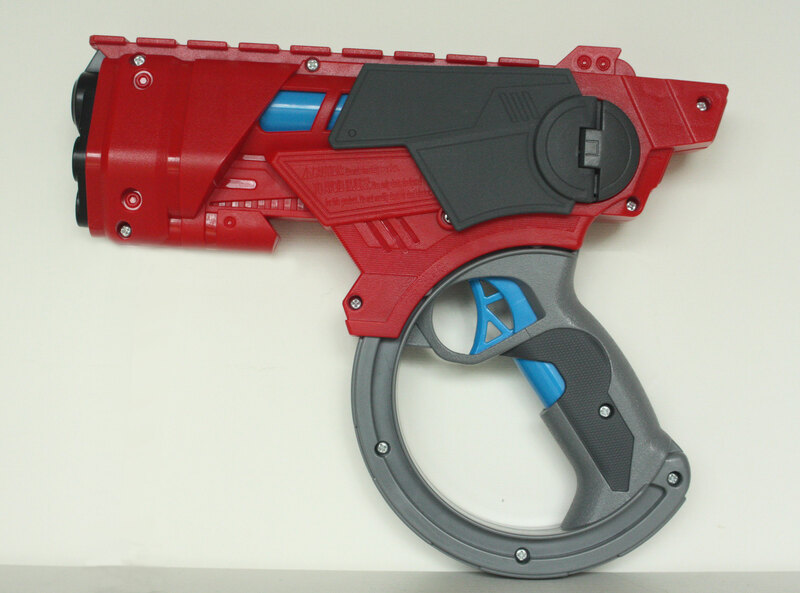 With a little practise, you’ll be able to prime this blaster with one hand. The technique of single-handed priming is to quickly ‘whip’ the blaster downwards and then flick it up by the wrist. It’s definitely a lot of fun to prime but the fun stops when you realise that the Whipblast is a single-dart muzzle loader. That means you still have to use your other hand to load in another dart. 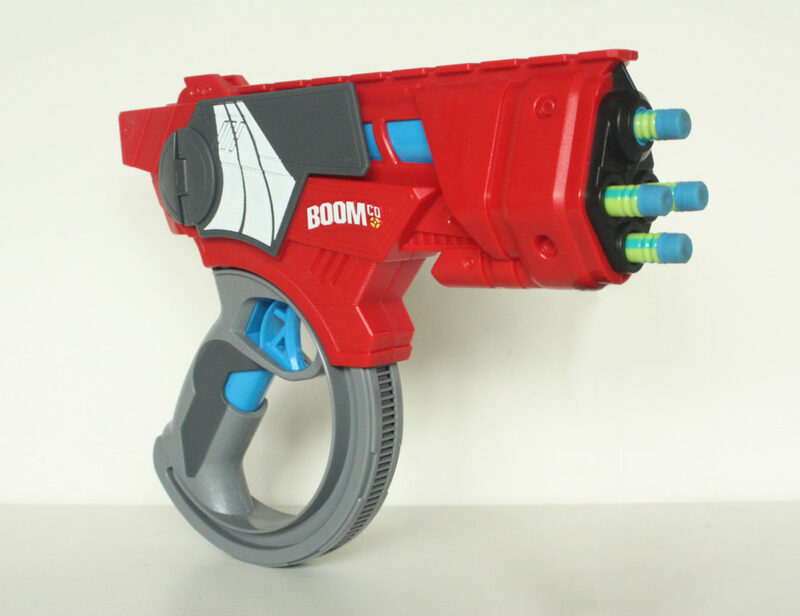 I really love the concept of ‘whipping’ to prime the blaster but BOOMco has really overlooked the practicality of a single-handed priming blaster. 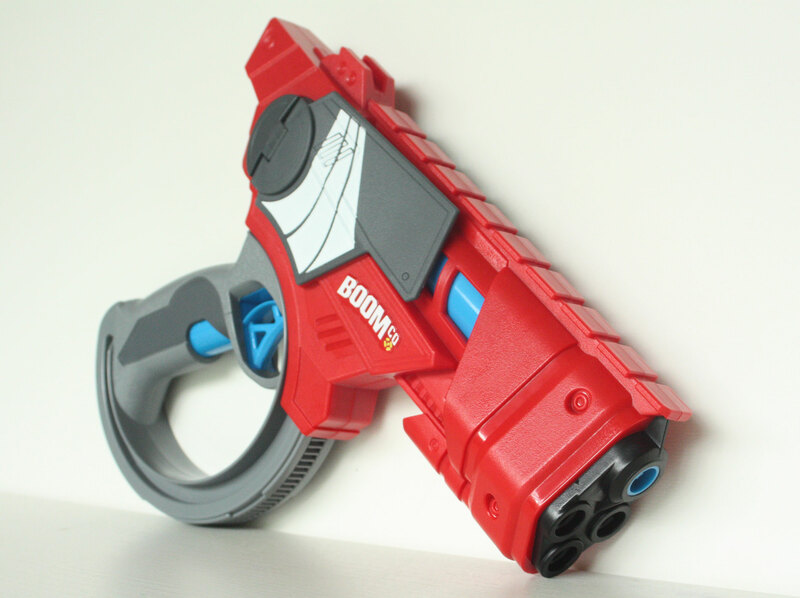 It could have been one of the most reliable secondary blasters if it was able to continually fire darts without reloading. 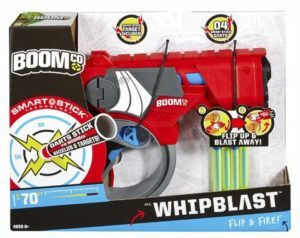 How does the Whipblast perform? Just fine. When fired flat, it achieves around 10 to 12 metres. When angled, it is able to reach and surpass the claimed range of 15m (Australian version). Obviously the 70ft version performs better, but it’s nice to see that the range featured on the box is accurate. 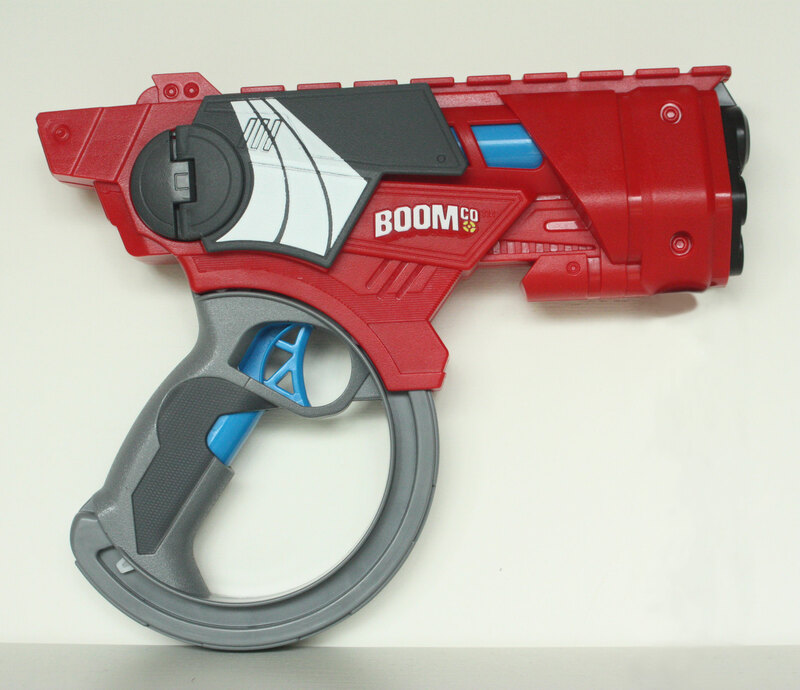 I haven’t compared the accuracy with other BOOMco blasters but it’s relatively the same as the Nerf Firestrike. 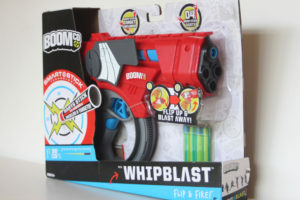 There is no doubt that the Whipblast is incredibly fun to use. 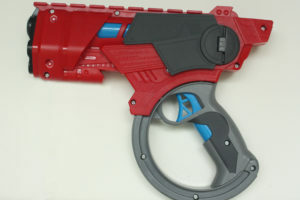 The blaster is notable for its unique priming mechanism, but it’s extremely disappointing that you still need another hand to load in another dart. Nevertheless, it effectively serves the purpose of a reliable single-fire dart blaster and does a better job than the BOOMco Farshot thanks to its greater dart storage and an awesome priming mechanism. For $15 USD, it’s a great buy. For Down Under, it’s not as cheap. Since the brand seems to be dying out, it’s now more difficult to find in retail stores. Thankfully, it’s still sold at my local toy store with a whopping pricetag of $30 AUD (although at this time of writing, it’s on sale for $15). It’s certainly not cheap, considering you can buy a war-practical Strongarm for less than $15. 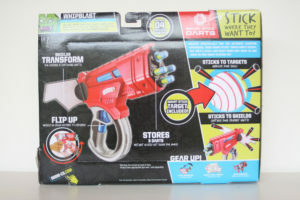 But if you so happen to see it on sale (around $15-$20, depending how keen you are for the blaster) and are interested, go ahead and pick it up! Too many words for you? 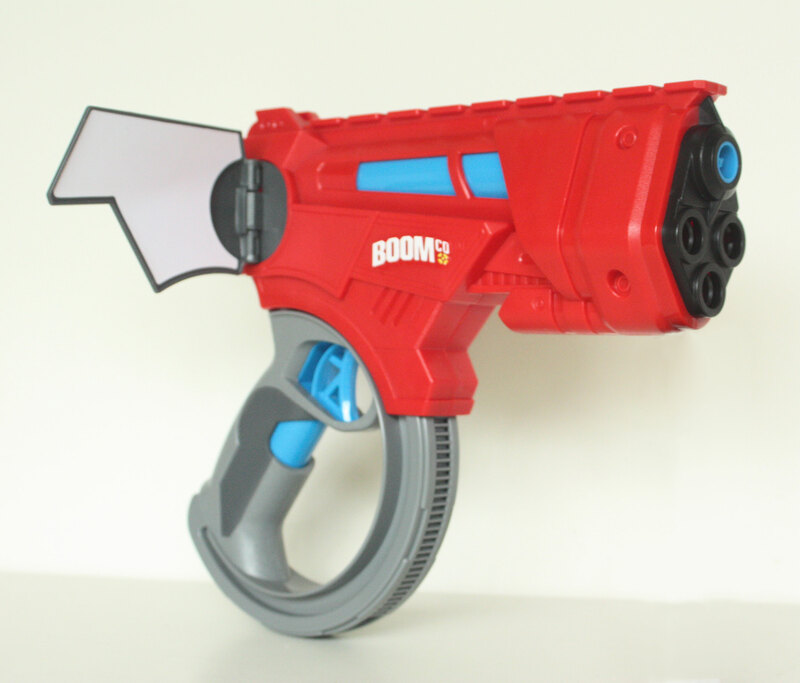 Check out my video review of this blaster. Or skip to 2:15 to see the blaster in action. 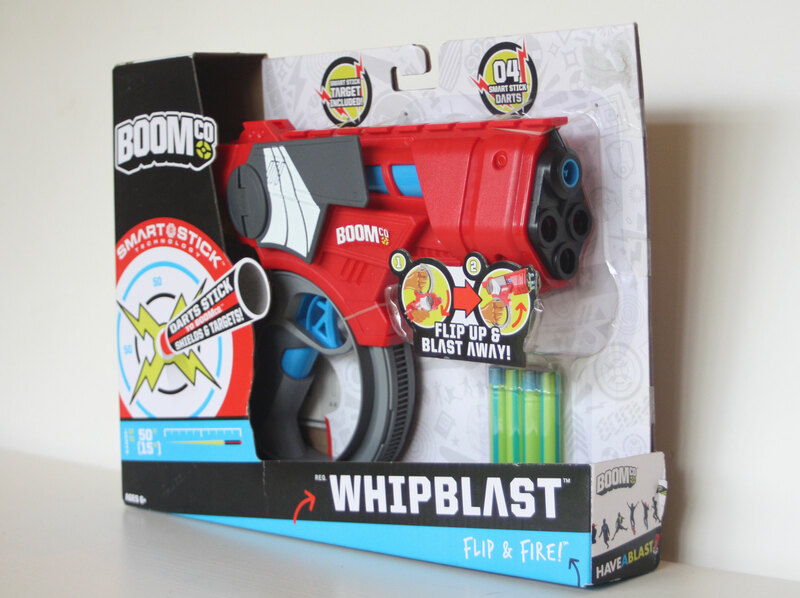 This entry was posted in Dart Blasters, Reviews and tagged 15m, australia, blaster, blaster hub, boomco, fun, review, Whipblast on November 8, 2016 by JJ Reviews.